Luisa Hernandez, who came to the U.S. at age 13 from Venezuela, has wanted to be a lawyer since she was five years old. The third-year law student’s dream became reality this year when she argued a case before the U.S. Court of Appeals for the Fourth Circuit. Ms. Hernandez is a student attorney in W&L’s Black Lung Clinic. The clinic represents coal miners diagnosed with pneumoconiosis, also known as black lung disease, in their pursuit of benefits from the coal companies they worked for. In this specific case, Ms. Hernandez appealed the denial of a survivor’s claim—the claimant was a widow whose husband spent forty years working in our nation’s coal mines. “In a survivor’s claim, the claimant must establish that coal dust induced lung disease was a substantial contributing factor to the miner’s death,” Hernandez explained. Like many of the cases the Black Lung Clinic takes on, this case has a long and complicated history. W&L Law students have been working on it for roughly a dozen years, and the case has moved back and forth several times between the Administrative Law Judge and the Benefits Review Board. When benefits were finally denied, the Clinic appealed to the Fourth Circuit with an opening brief written by 2017 law graduate Max Gottlieb. Ms. Hernandez received the case last summer and authored a reply brief to the Court. Then, in a rare move, the Fourth Circuit granted request for oral arguments in the case, leaving Ms. Hernandez about six weeks to prepare despite a heavy caseload in the Clinic and her other classes. In addition to becoming an expert in the facts of the case and the procedural record, Ms. Hernandez underwent more than a dozen moot arguments with W&L faculty, including former Black Lung Clinic directors Brian Murchison and Mary Natkin, as well as Professors Shapiro, Evans, Eggert, and Shaughnessy. This intense preparation paid off during the oral argument. “One of the most valuable lessons from these moots was learning how to best present sharp arguments knowing that we only had fifteen minutes to make our case to the Court of Appeals,” said Ms. Hernandez. 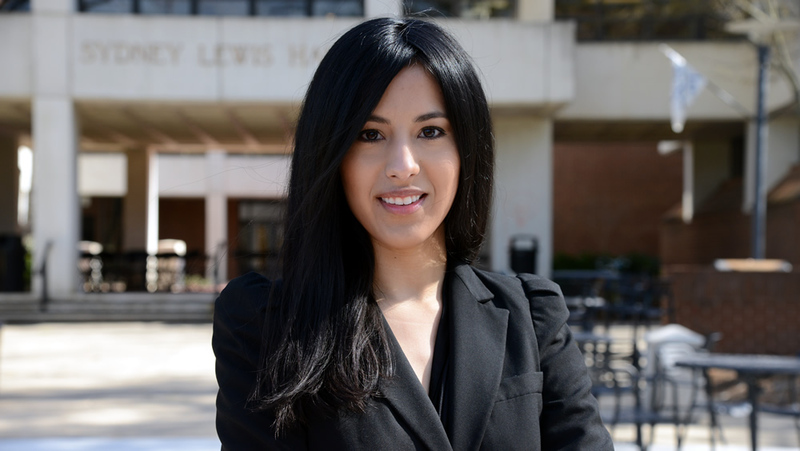 Ms. Hernandez views the experience as not only a capstone to a life-long pursuit, but a true synthesis of the education she has received at W&L Law. The Court typically takes several months to release a decision, and while the outcome in this case is far from certain, W&L Law students have prevailed in the federal appeals courts in the past, winning ten appeals in the last ten years, including four decisions in the Fourth Circuit in 2017 and another in the Third Circuit in 2013. The Black Lung Clinic has represented hundreds of disabled coal miners and their surviving spouses since its creation in 1996, and has a success rate of approximately 80%. While she awaits the decision, Hernandez will prepare for graduation in May and for her first job as a lawyer. She will be a litigator at the New York City Law Department, the entity that represents the City of New York, its officials, and agencies in all affirmative and defensive civil litigation.